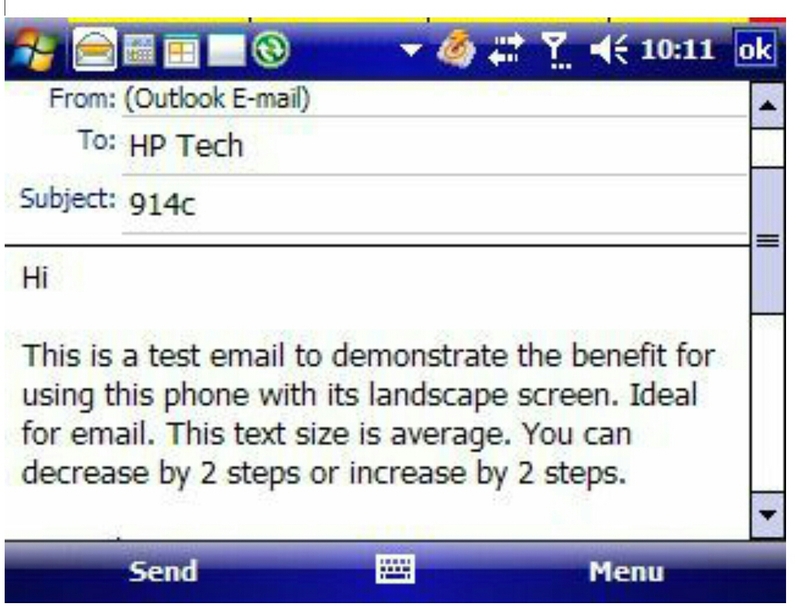 Below is my review of the HP 914c written in October 2008. First Impressions of hardware – Looks like a business machine, blue lettering on keys difficult to read, reasonable build quality, dreadful battery on 3g, poor phone reception, low phone volume, excellent stylus. Hardware Highlights- 3mp camera, landscape screen superb for text entry and web browsing, large stylus, top on/off button, gps external aerial, left side volume up/down, voice commander button, memory slot, mini usb, right side jog wheel, ok and camera button, nothing on bottom of device. The HP 914c has been a bit of a mixed bag. Its screen resolution of 320 x 240 is superb for text entry tasks and web browsing. The 914c does not support screen rotation so a number of older games will not work. I found a majority of applications all worked fine . Games that ran fine included several by Astraware (Boardgames, Casino, Solitaire, Suduko, Bejeweled 2, GTS World Racing and more), Concrete PDA Bowling, Wordpop and Invasion. Applications I installed included CoPilot 7, ClearTemp, Wisbar Lite, Homescreen Plus, Coreplayer, Easy Expenses, Ereader, isilo, Metro, sktools, sinPocketwatch, Resco File Explorer, vSnap and Newsbreak. CoPilot 7 looked excellent on the 914c (see below) and in test the GPS locked into position within 20 seconds. 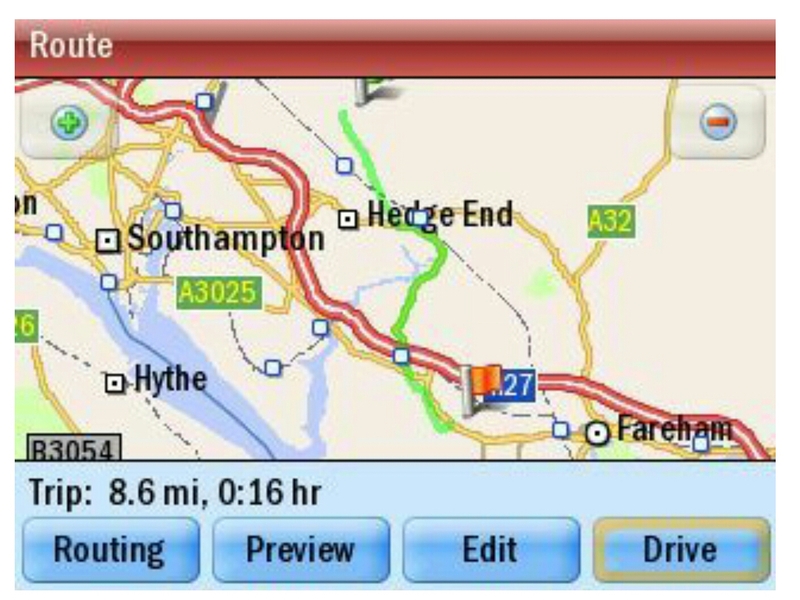 I found the GPS chip to be consistent and reliable. 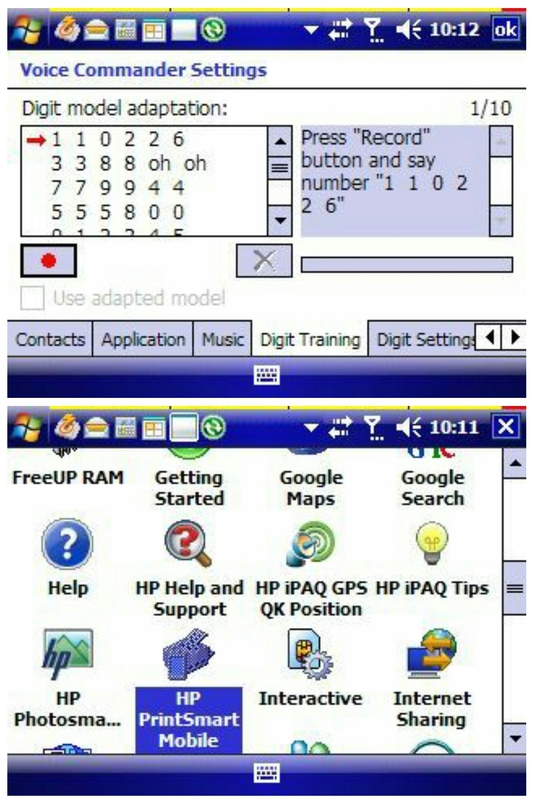 HP have also installed a number of HP bespoke applications, including HP Voice Commander , Voice Reply and Printing. The voice options on the device are impressive. You can ask the machine to read your entire emails and sms, unread ones, and then it will ask you if you want to send a voice reply. You record your voice reply and it then emails it or sends it by mms. HP Printing, Google Maps and Search are also pre-installed. In addition, within the messaging options, you can reply to any sms, mms or email with HP Voice reply. The rubber flap for the mini usb and micro sdhc card is an odd affair, but once I had got used to using it it actually is perfect for quick access to the memory card or mini usb slot. 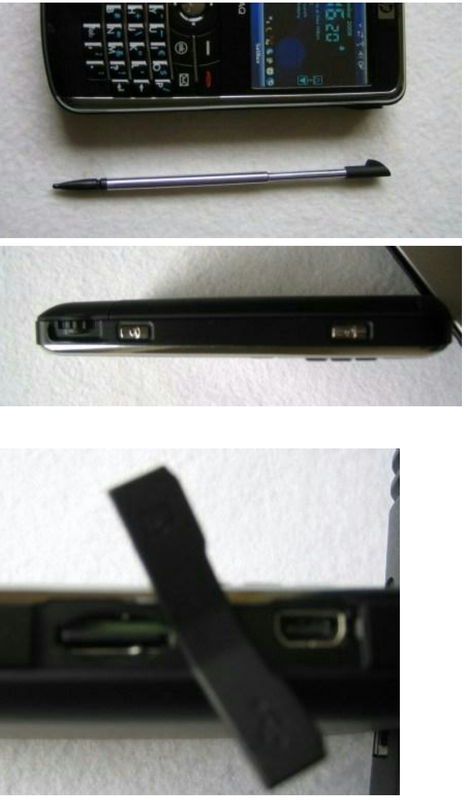 The stylus is worth a mention. It is nearly as long as the 914c and is superb. 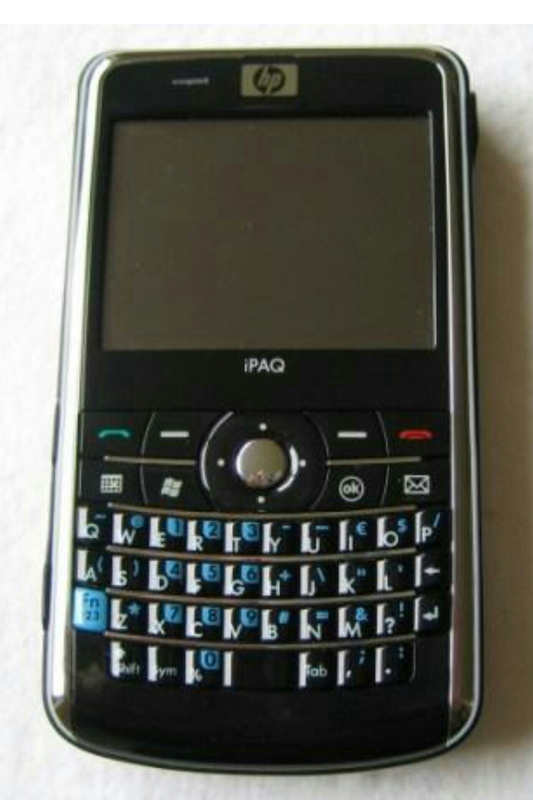 The keyboard and all the buttons all worked fine, as did the camera which took reasonable shots with its 3 MP lens. However, the phone radio is below par. 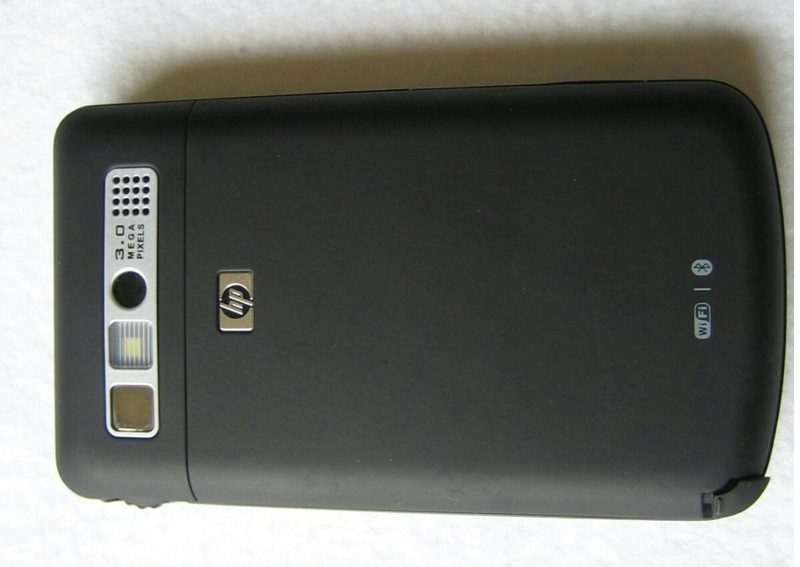 The 914 struggled to gain reception where other phones had reception. The in call volume was too low and the caller’s voice sounded muffled a bit. On 3g the whopping 1940 mah battery was useless. With hardly any usage (push email on, 6 emails, 2 texts, 5 newsfeed and 2 short calls) it was totally flat in 12 hours. On 2g it was able to manage a day and a half. This could have been a great device, but it is let down by poor phone quality and battery. If HP release a rom update this might resolve the 2 issues.